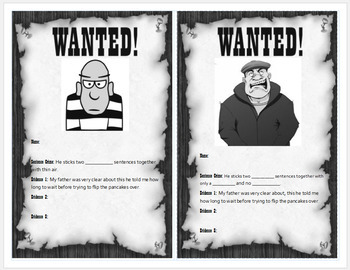 This Publisher document will help your students identify the sentence bad guys that trip them up in their own writing and on multiple choice tests that have questions such as "What is the best way to combine sentences 23 and 24?" 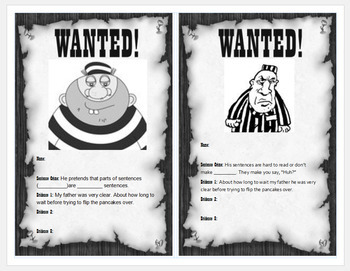 This engaging resource gives a name and a face to the bad guys: Run-on Ralph, Fragment Fred, Awkward Arthur, and Comma Splice Carl. In other words, run-ons, fragments, comma splices, and awkward sentences. This is a great resource for 4th, 7th, 9th, and 10th grade writing STAAR.